On Sat 28 Nov, we're opening up the gym doors to members, their friends and women and children from the local community. We're asking for your support in our efforts to raise funds for our female boxers development programme. We're holding half hour taster sessions for each of the Box 4 Fitness classes held weekly at the gym, plus a few thrown in just for fun. It's an opportunity to come and see the gym, try out a class and meet some of our coaches and boxers as well as the women who train with us. it's different to anything you've ever done before, you may just like it. it's stress busting and satisfying and sweaty and not very glamorous and we like it that way - you might to. We're asking for a minimum £3 donation for a half hour taster session. Regular classes are normally £5 and last 45 minutes to an hour. Raffle girl will try and sell you a Raffle ticket so you can win one of our generous prizes donated by local businesses and members of the gym. There will be some great food hampers, vouchers for the gym and online/local business vouchers too. Refreshments and home-made, sugar free cake and healthy snacks will be on sale and a rail of women's clothing which is on offer by donation. Here is the line up of sessions for the day. 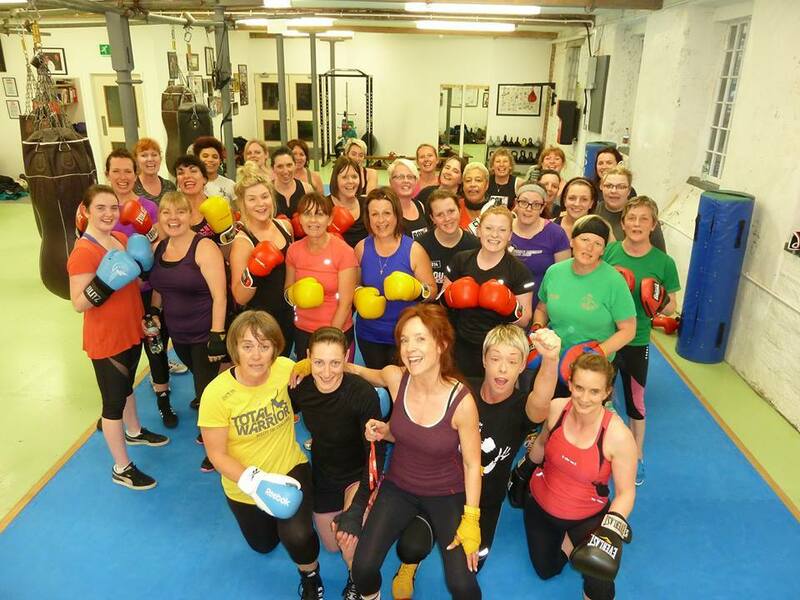 All classes apart from the Kids Recreational Boxing are women only. To be guaranteed a place you must book and turn up at least ten mins before the start of the session. Otherwise, try your luck on the day, there will be spaces in at least some of the sessions! If you have a friend at the gym, get her to put your name on the list. If not, email kate@box4fitness.co.uk or text 077 3243 3243 with your name and the session you want to book. All donations will be received on the day - no payments upfront. We hope you'll come and support our fundraiser and try out a bit of boxing, have some cake or just hang out and see what goes on. We look forward to welcoming you.